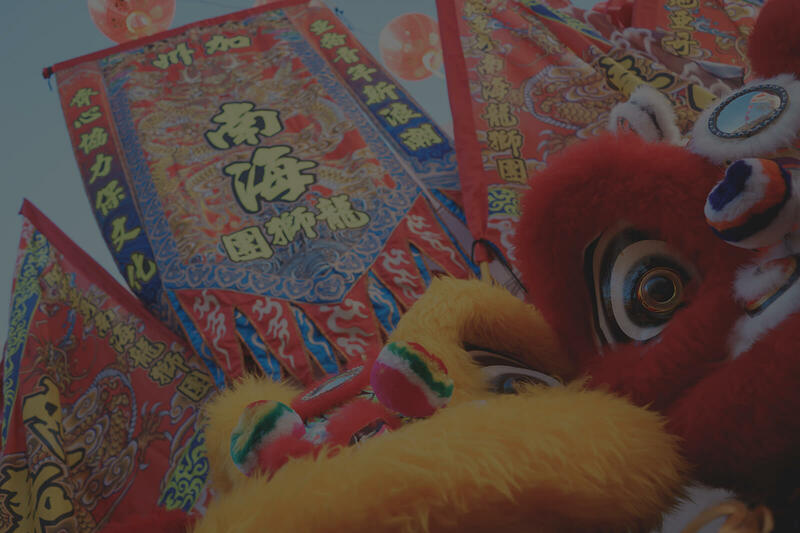 No matter what the occasion may be, Southern Sea Dragon and Lion Dance Association can cater to meet your specific needs. 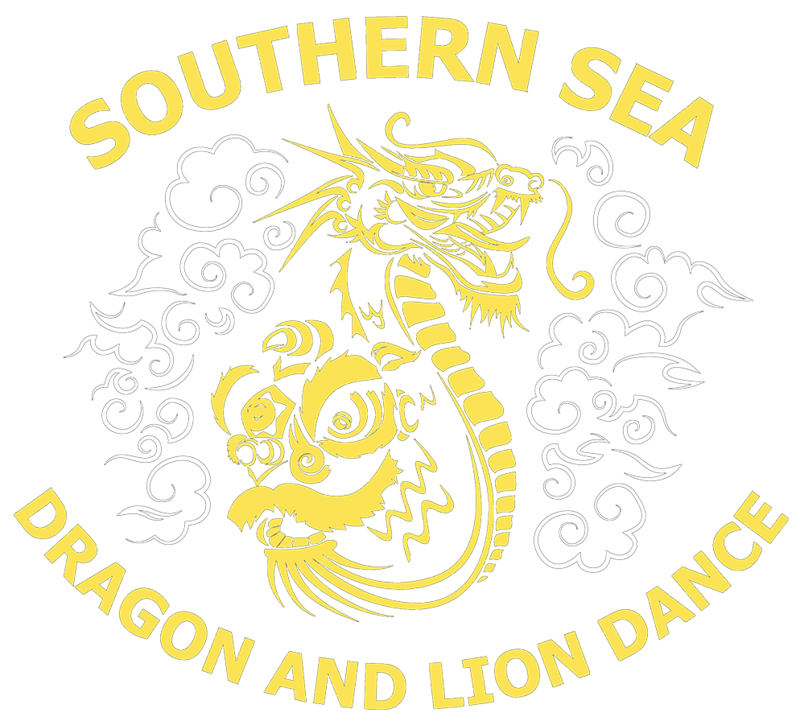 The Southern Sea Kung Seng Keng Lion and Dragon Dance Association was founded with the goal of preserving the tradition of lion and dragon dancing. Today, Southern Sea is one of the largest and most reputable groups in San Diego, whose performances can be seen at various events including weddings, parades, and multicultural festivals. 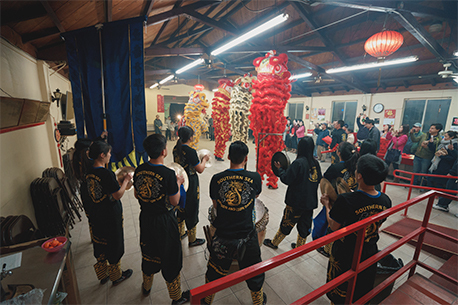 As a member of the Kung Seng Keng International Lion Dance Federation, Southern Sea dedicates itself to the federation’s mission to conserve and teach lion dance worldwide. Our practices are held on weekends on the UC San Diego campus, and we are open to anyone in the community interested in lion dancing. Have experience? GREAT! Never heard of Lion Dancing? Come and check us out! Email SouthernSeaLD@gmail.com for practice times and locations. 'Like' our facebook page to get regular updates from the team. We perform the modern adaptation of the Traditional Southern Lion Dance using entertaining acrobatic movements and a wide range of animal like motions. Our performances are suitable for a variety of events including weddings, birthdays, grand openings, parades, and festivals. Add a cultural touch to your party and have our lions bring good luck and prosperity to both you and your guests. This high-energy performance will definitely make your event a night to remember. Traditionally, the lion dance is performed to ward off evil spirits and to bring good fortune to businesses and people alike. Have our lions bless your business and start your endeavors with a roar. Public performances are our specialty. Not only will we add cultural diversity to your next festival/parade but also invigorate the crowd with our colorful costumes. Beyond a shadow of a doubt, The Dragon Ball, the first Chinese New Year celebration held at Club M on Sat was a big success, largely due to the phenomenal performance of SSLD!!! On behalf of Club M, Club VIP, Downtown Dolls and GEM - Gaslamp Event Management, we would like thank you and everyone from SSLD for contributing to the event’s success. Club M broke all records that evening (in attendance and sales)! We truly appreciate your talent, all the time and effort you put into coordinating the lion dance! Thank you very much for making our wedding so memorable, with your team's fantastic performance. It started the night off on a very positive and vibrant note. It set the tone for the entire night, where everyone was in a joyful and happy mood. I can't thank your group enough, for the wonderful and professional job you all did. Thank you again for your team's amazing performance at our retirement celebration today. Our guests. both children and adults, really enjoyed the show and were so impressed with the live music and acrobatics. It was the perfect entertainment for our event! We appreciate the professionalism your team displayed, not only at our event, but especially during the planning stages. We look forward to hiring your team again. Thank you! ​Thanks again for performing at our wedding, your team was amazing! All of our guests were amazed and they had a great time. We have been told over and over that our wedding was one of the most fun weddings they had attended and your team was a big part of our event. No matter what the occasion may be, Southern Sea Dragon and Lion Dance Association can cater to meet your specific needs. We can't wait to hear from you.